gesine is using Smore newsletters to spread the word online. the problem that I identified is that students lose there work, don't have it, or forgot to bring it. This happens to me sometime sand is very annoying. E-portfolios can help societies to communicate. For example students can communicate there work with there teacher and have a place to store all there work of the year. This is a solution that will be suitable for our purpose to access the work anytime anywhere and to show your progress in the year. I will make an e-portfolio that I will plan carefully, finding the best designs and evaluating every one of them. I will choose the very best and then plan how I will do it. Then I will actually make, the e-portfolio based on the criteria. Storage/access: e-portfolios can be stored digitally on a hard drive, server, or on a removable media. This takes up very little physical space and is easily assessable. They also hold a great deal of information. Multimedia: once every thing is in place, user can easily add sounds, pictures, graphics or video to the electronic portfolio. People use e-portfolios to store there work all in the same place and to be able to access it anytime and anywhere. Not only students use e-portfolios. Business people use it as well, since it can be made to suit any use. developmental e-portfolios: shows the progress of students time. 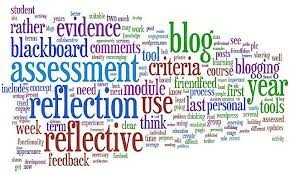 developmental e-portfolios can be used over a long period of time for both self-assessment and reflections. this is often used to communicate from student to teacher. showcase e-portfolios: are used to display students work. It is used to show students skills. This is a good way to present students work because it will really show the quality of the work.